The beginning of marriage is a chapter of your life that is very exciting. However, the excitement eventually slows down as you begin to settle into your new life together. At times you might feel disconnected and that the love just isn’t there anymore. You might not spend so much time together as you once did and aren’t communicating as you thoroughly used to before. 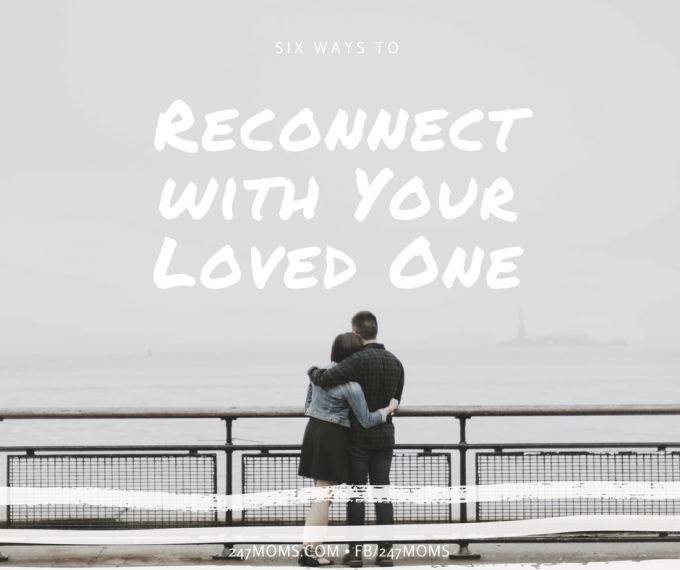 The good news is that there are ways to rekindle your relationship and reconnect with your loved one. Here are 6 ways you can reconnect with your significant other. Notice your loved one’s good qualities. Tell your loved one about the good qualities they have. Sometimes simple compliments and having someone notice what they are doing can put a smile on their face and make them feel good. People enjoy and like knowing their loved ones are paying attention to what they are doing. Share your successes by celebrating together. As well, share your struggles together. You are a team and being there for the ups and down is important. Ask each other meaningful questions. Asking the important questions is one way to reconnect with your loved one. You can ask them “What brings you the most joy in our marriage?” or “How can I make you happy?”. Cuddle with each other and enjoy each other’s company. The best kind of relationships are ones where you can cuddle up with each other and just enjoy each other’s company. You can have a conversation, watch a TV series or movie, or just spend time together in a peaceful silence. Strengthen your relationship with God and make it apart of your marriage. Come together as one to God with your prayers and making him a priority in your marriage. Study the Word of God together. Talk to each other about what you have learned and felt through what you are studying. Be a part of each other’s spiritual progression. Marriage is not a simple walk in the park. It takes time and work. However, it can be enjoyable together. Work together by reconnecting with each other and remember that marriage is not a one-person job, it requires the both of you to work as a team. Hi! These are great! Sometimes, the things that seem so obvious or easy are the ones we forget to do first. It’s definitely a good reminder to be kind to each other, talk, encourage, and pray.